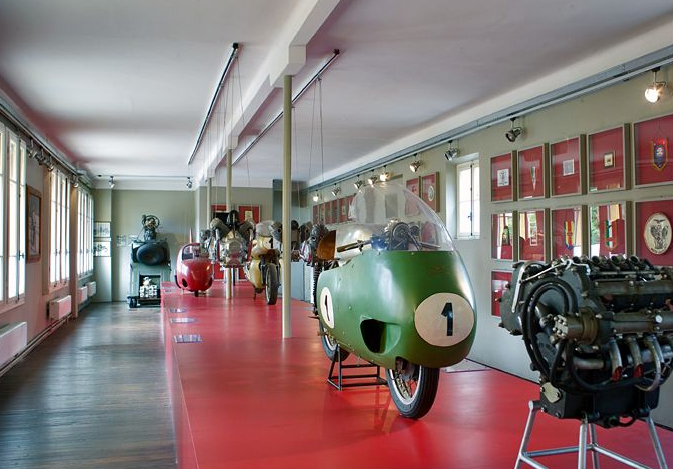 Motoguzzi factory in Mandello del Lario – vacation and Travel Tips. For any keen motorcyclists out there, how about a trip to the original site of the Motoguzzi factory in Mandello del Lario? It is now a quirky museum and dead easy to get to by train if you don’t have your own transport. It is only open for an hour each weekday (two in July) during which time a very knowledgeable local enthusiast turns up to give a guided tour. The guide we had spoke Italian and English.